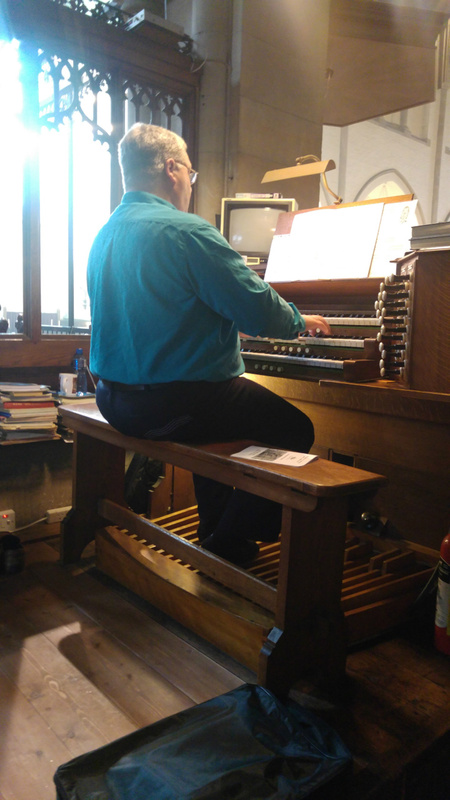 In September last year, after over three years of no tuning or repairs, I appointed David Houlgate as the churches new Organ Tuner. With a budget granted by the PCC of £1,000.00, David set to the task of doing some much needed repairs. All the notes which had previously stopped sounding have now been repaired and one stop on the swell organ, which has never worked in all my time here, is once again sounding. In places leather to the sound boards have been replaced. All in all the organ is now sounding much brighter and the clarinet on the choir organ is sounding brilliant now all the tuning has been completed. In order to reduce the amount of air that was escaping from the great organ, we have had to disconnect the Mixture stop for the time being. I hope we will be able to get this fixed in the near future and have asked David for a quote to see if this is possible. David and his colleague, Jonathan, have proved to be very good value, having visited the organ eight times in the last six months. There is of course much more work we could do, but we have to be mindful of the parish’s financial limitations. However, with regular tuning and dealing with faults as they arise, we will be able to keep this lovely instrument on the road for a long while. John Smee was appointed as the Parish Organist of St Barnabas Parish Church on 01 April 2016. John began his musical training in Cornwall during the 70/80’s, moving to Sussex in June 1988. He gained his ARCO (Associate of the Royal College of Organists) in 1989 and at the tender age of 20 was appointed Organist and Choirmaster of St Martin’s Parish Church, Brighton in 1990, a position he held for 22 years. In 2010 John was made an Honorary Fellow of the North and Midland School of Music. He has a particular interest in liturgical music and organ improvisation. He is well known for his organ improvisations. 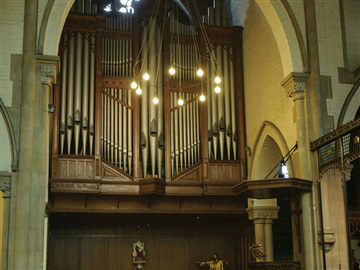 St. Barnabas possesses a fine three manual organ that was originally built for the Kerr Chapel in Albermarle Street in London by Noble & Son and was transferred to St. Barnabas in the early part of the twentieth century. The organ is largely contained within the north transept, with parts of the Pedal organ in the area by the console. It has a magnificent architectural case that reaches almost to the top of the transept roof. Initially fully pneumatic, the detached console was electrified in 1974 and some tonal changes made. No further major work has been carried out since then and the organ is now requiring much love and attention. This Remembrance communion piece was Mozarts "Adagio" based on his Ave Verum.